Coviu has developed an advanced video telehealth platform that is used by more than 1100 healthcare professionals including physiotherapists, speech pathologists, occupational therapists, dietitians and nutritionists and general practitioners. The cloud-based video consultation platform removes the need for physical presence during patient and clinician consultations, with features like interactive whiteboards and the ability to share and annotate images, flyers and x-rays to enable clinicians to explain diagnoses and procedures. The technology is compatible with artificial intelligence based tools such as image analysis to identify cancer or calculate the range of motion of limbs, and interoperable with patient management booking and payment systems. Coviu CEO Dr Silvia Pfeiffer said traditional video consultation solutions are designed for the boardroom..
"In Coviu, we've developed a solution tailored for health practitioners that enables rich experiences with patients in the comfort of their own homes through custom tools designed for each health specialisation, whether it's speech pathology or psychiatry," Dr Pfeiffer said. "This investment will give us the opportunity to scale Coviu and further embed ourselves into the primary healthcare space by partnering with other health systems as an enabler of video consultations." The investment follows a growth trajectory that has seen Coviu establish a foothold in the healthcare sector and provide care to Australians in regional and metropolitan areas across Australia. Since it was founded by Dr Silvia Pfeiffer in 2015, Coviu has connected more than 20,000 patients with practitioners across the healthcare sector to deliver treatment. Currently, 1100 clinicians use Coviu, and this is expected to increase to 7000 by the end of the year as a result of expansion plans following the investment. The $1M investment comes from CSIRO's Innovation Fund, which is managed by Main Sequence Ventures. Coviu's growth has also been aided by CSIRO's ON Accelerator program. Both Main Sequence Ventures and ON are supported by the Government's National Innovation and Science Agenda (NISA). CSIRO Chief Executive, Dr Larry Marshall, said Coviu is a prime example of Australia's national science agency translating world-class research to real-world benefit, and an example of CSIRO's strategic investment in health research, including the creation of a dedicated health business unit. "Australia's science and technology has the potential to make our nation the healthiest in the world, and CSIRO is bringing together all elements of the innovation system to fast-track that ambition," Dr Marshall said. "Australia's industries and jobs of the future will come from investment in innovation to tackle Australia's National Challenges, which is at the heart of everything CSIRO does. Today we see the future of healthcare in the promise of Coviu." 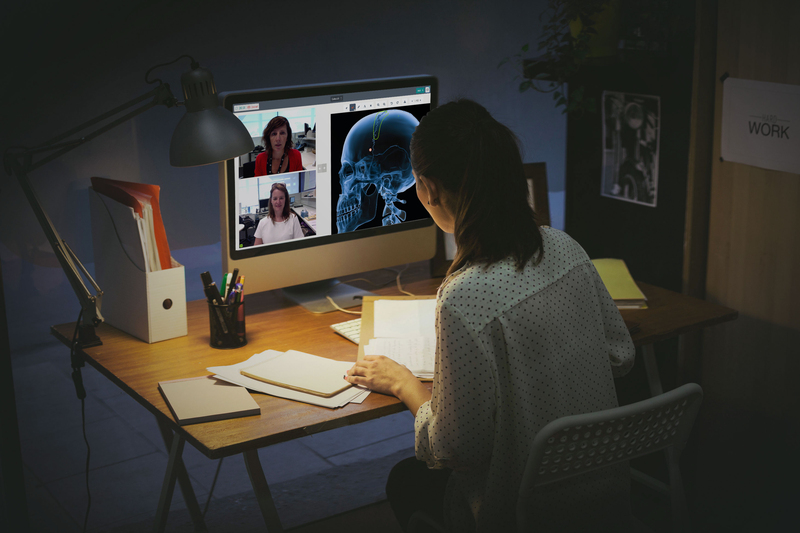 Phil Morle, Partner at Main Sequence Ventures, said Coviu is set to take on the US$2.2 billion global telehealth market. "Through Coviu, we can see the wonderful future of healthcare emerging. "Patients, no matter where they are, get clear visual support while collaborating with their care team. "Care teams help more people in an experience which is delightful to use and integrated with the systems they already use. We haven’t seen anyone else do it this well." Mr Morle said. The investment will be used to scale Coviu into more clinics and to open the platform up for developers to create new capabilities for patients and clinicians. Main Sequence Ventures backs deep tech founders inventing tomorrow. Established to manage the CSIRO Innovation Fund (CSIRO Innovation Fund 1, LP), we are company builders and value creators with a mission to transform inspiring Australian research into epic global companies. ON is Australia's sci-tech innovation accelerator dedicated to unearthing amazing research and steering it towards high potential innovative ventures. Established by CSIRO in 2015, ON specialises in assisting researchers from the fields of science and technology working on projects that have the potential to shape Australia's future.